Girls supporting girls is finally having its moment. Whether that’s online or IRL, it’s never been cooler to have your girl friends’ backs. We’re surrounded by inspiring women, both online and IRL, but few women are more inspiring than England’s very own Women’s Hockey Team: they’re 2016 Olympic gold medalists, fun and firey too. We couldn’t be more proud to be sponsoring the team and the Hockey Women’s World Cup, taking place in London 2018, and celebrating a very new version of girl power. Recently we met three of the leading ladies of the England Hockey Team, Great Britain and England teammates Sophie Bray (forward), Zoe Shipperley (defender) and captain Maddie ‘Mad Dog’ Hinch (goalkeeper). Their focus on attitude and ability is doing women’s sport – and in fact the whole feminist agenda – the world of good. It’s time to get inspired. Fancy getting involved yourself? 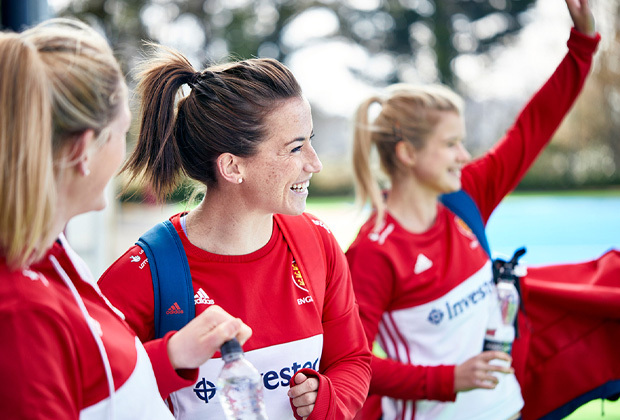 England Hockey’s Back to Hockey campaign could be what you need. Find your nearest session here. It’s not just body image that sport can help kick into touch. It’s also a fantastic way or helping make friends, boost confidence. Our three legends often talk about The Hockey Family: “I’ve known Sophie since I was 14,” says Shipperley. In fact, many of them have indeed grown up together. Bray loves the sense of belonging and Captain Hinch agrees, “You learn so much about one another — what each is like at their best moment and at their worst, and what each other needs. Having a bond is a real strength.”. Off the pitch socialising, as well as having a break from each other between training cycles, only goes to increase the bond further. 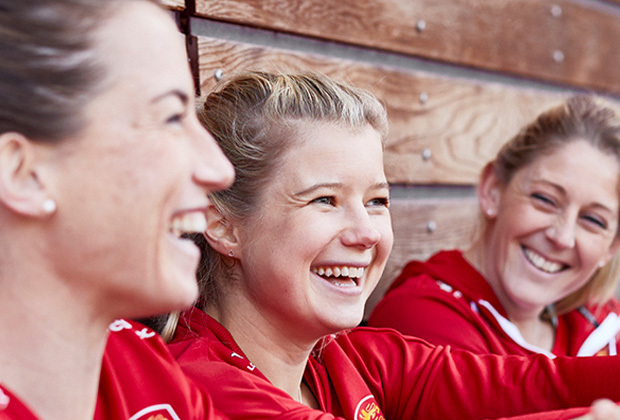 They’re the girl gang we want to be in, whether on or off the pitch. No doubt there’ll be tons of excitement this July and August and many chances to be inspired to pick up a hockey stick yourself. Go. Girls. 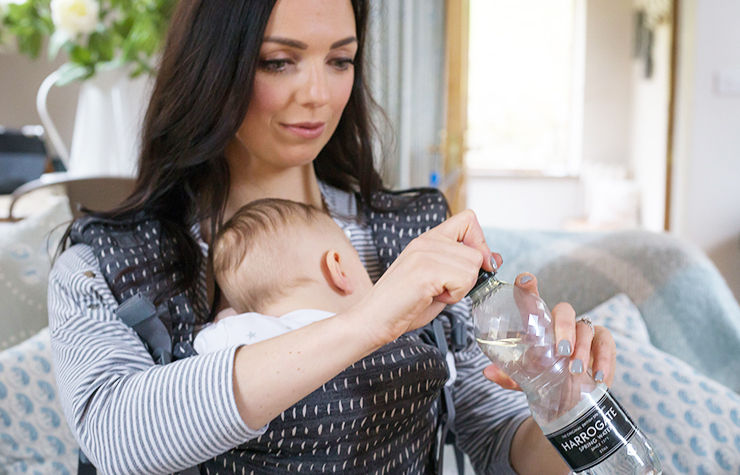 Harrogate Spring Water is official supplier to the Hockey Women’s World Cup.